A year ago today, I woke up in the hospital critical care unit, following a cesarean hysterectomy. It was the final piece of the puzzle in my five year struggle to have children, which included the heartache and desperation of IVF, ICSI (Intacytoplasmic Sperm Injection – the next level up from IVF), miscarriage, and major placenta previa. And here I am, now having survived the chaos of two children, along with breastfeeding and sleep issues. I’ve made it to the other side of this journey, and can hands down say, it’s been the best and the worst time of my life. It’s given me a unique perspective on life, taught me more in the last six years than I ever could have imagined, and made me better equipped to handle the ups and downs that life has thrown at me. 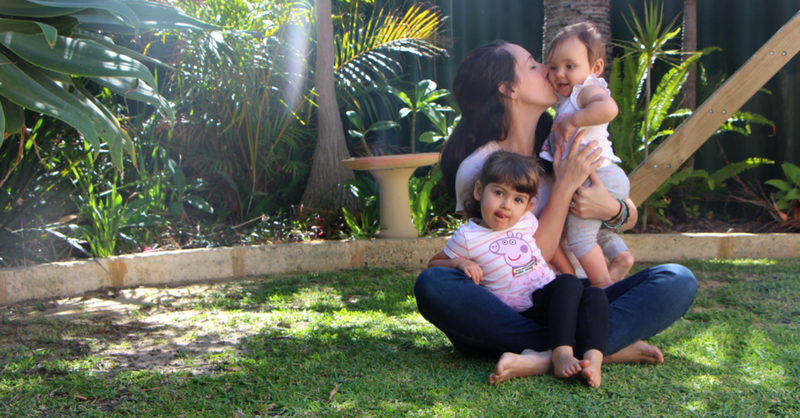 Here are six life lessons that my fertility journey taught me. Everyone has mess in their lives. This is yours. Everyone’s lives are messy. Everyone has days when they want to crawl into a hole. Whatever you’re going through right this minute, this is YOUR mess, so own it, move through it, and don’t expect those who haven’t walked in your shoes to understand it. You’ve got this. Everything is temporary. Even the good stuff. We have truly magnificent times in our life that we hope will never end. It does. And we have awful times that we feel will never end. They do. Moments of joy and moments of struggle in our lives are always temporary. If you’re struggling right now, know that this will end at some point. The journey to get there may look different, but it ends, I promise. Just like rain, and just like clouds in the sky. Don't panic until you need to panic. Our bodies have a built-in fire alarm. As a parent, the panic and rush of doomsday thoughts and feelings, fears and anxieties are omnipresent. Don’t panic until there is fire. There’s always a solution, and often, the fat lady hasn’t sung yet. We’re being premature. When you feel like you can't take anymore, you can. Sometimes in life we question everything and wonder whether we can possibly muster up enough strength to continue. I’m here to tell you that if you decide you can, there’s still more gas in the tank. You’re stronger than you know, and there’s always a second wind. You can do this. Don't pause life. You only have one. There’s no repeat button. There’s no pause button on life. This is it. Our one and only chance at life, but so often, when we’re stuck in our struggle, we can pause everything else in life. And every moment is fleeting. The cliche is true - you only live once. So don’t stop living, don’t stop pursuing your dreams just because one element of your life isn’t working. Life is too short for that. Robyn Birkin is a writer, speaker and coach who helps women struggling to conceive to find their inner strength, resilience and confidence again. Through her own journey, she has developed a program that guides women through transformation at a time in their lives when they need help to remember who they once were. She is the host of the Fertility Warriors Podcast, and has a weekly Youtube segment with tips, advice and real talk for women trying to conceive.